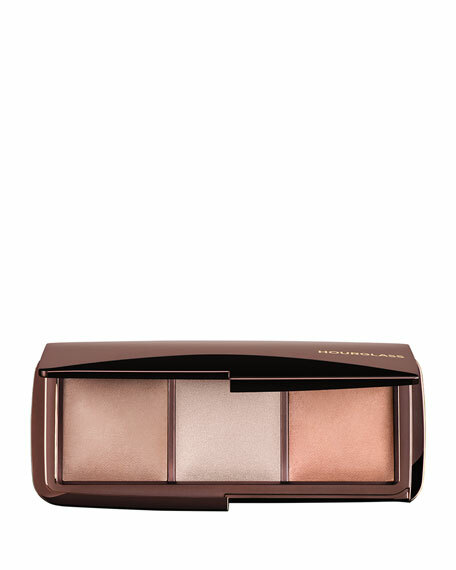 Create your perfect light with this palette featuring three shades of Ambient Lighting Powder. Each of the high-tech, soft-focus finishing powders recreates an exquisitely flattering light source. The powders can be applied individually or layered to imbue skin with a multidimensional glow. Incandescent Light (exclusive to palette): An opalescent pearl powder that brightens the complexion with a celestial glow. For in-store inquiries, use sku #1687.